Partido Manggagawa (PM): The President has reneged on his promise but we will continue to fight! - Nagkaisa! The President has reneged on his promise but we will continue to fight! - Nagkaisa! By opting not to issue an EO and instead leaving it to Congress to address widespread contractualization of labor that has destroyed workers’ security of tenure and their exercise of other fundamental rights to form unions and collectively bargain, PDigong has effectively reneged on his campaign promise to end endo. Ang EO ay naging ping pong. Sa halip na tuparin ang kanyang pangako, parang bola lang ito na ipinasa niya sa kongreso kung saan higit na malakas ang impluwensiya ng mga kapitalista at mga kakampi nito. 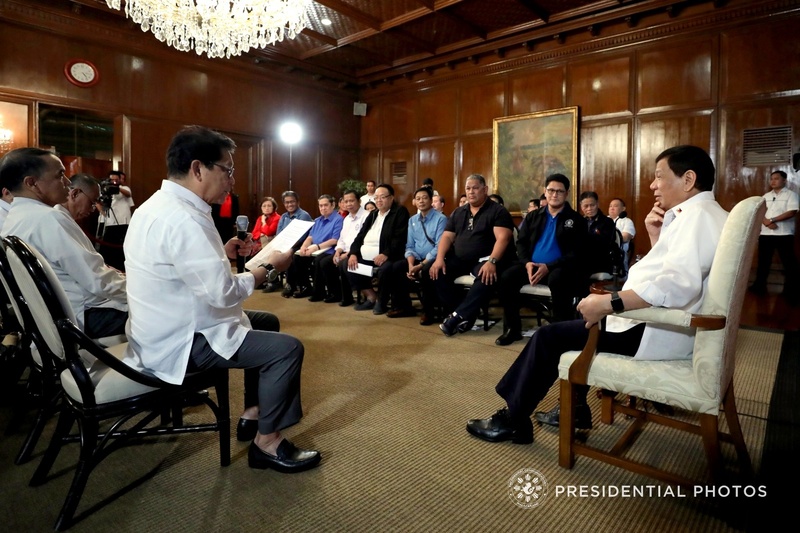 The move of Duterte to inhibit himself from exercising his executive powers to prohibit contractualization will send the wrong signal to members of Congress, who, for the last two years, were waiting for a clear policy guidance from the President on the issue of endo. He made workers wait for more than two years, only to end up at the doorsteps of Congress begging for a stricter version of anti-contractualization bills. Binigo ni PDigong ang mga manggagawa na bumoto sa kanya dahil sa kanyang pangakong wakasan ang kontraktwalisasyon. Inilantad ni PDigong ang tunay niyang papanigan sa pagitan ng interes ng manggagawa at kapitalista. But the fight is not yet over. This only proves that the force of reason does not prevail in favor of labor as there are much powerful forces like the employers and their organizations that can sway the decision of the President. We call on all labor groups to close rank, launch protest actions and convert the Labor Day commemoration as national day of workers indignation and protest.